Salted Manuka Honey Caramels– Sweet treats that are good for you! 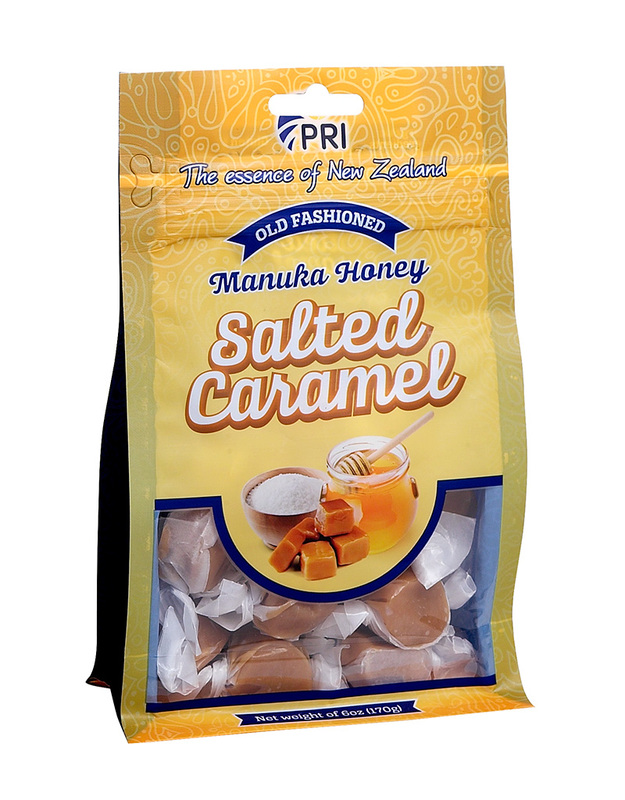 Pacific Resources is excited to introduce a new treat to the PRI Manuka Honey Candies, The Salted Manuka Honey Caramels. These salted caramels are the only caramels made with Manuka Honey and Pacific Sea Salt harvested from the clean oceans surrounding New Zealand. PRI’s mouthwatering Salted Manuka Honey Caramels are a perfect anytime treat. Enjoy the soft chewy caramel, the pure New Zealand sea salt brings out that delicious Manuka Flavor. Once you try these caramels you will be reaching for more! Pacific Resources is first to bring you salted caramels made with Manuka Honey. Best of all they are produced right here in the USA. The Salted Manuka Honey Caramels and all your favorite Manuka Honey candies are available at shoppri.com. I love caramels and I love honey. Wow! I’d love to try those! The salted caramels made with Manuka Honey are very delicious! If you subscribe to our newsletter or follow us on social media we’ll give you 10% off all our products. Just head over to our website shoppri.com for more details on how to receive your 10% off. Let us know how you like the Salted Manuka Honey Caramels! I call that a win win…sweets that are actually good for you! I would love to give these a try! The Salted Caramels are made with New Zealand sea salt and Manuka honey. You are receiving all the great benefits of Manuka honey along with better natural ingredients, what’s not to love?! Head over to our website shoppri.com to find out how to receive 10% off your order.